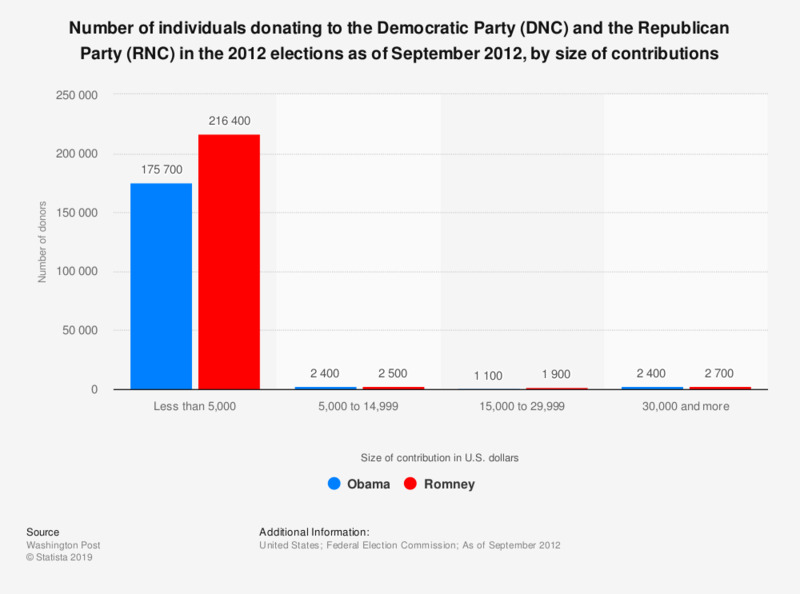 This graph shows the number of individuals donating either to the Democratic Party (DNC) or the Republican Party (RNC) in the 2012 election, as of September 2012. About 2,700 individuals have donated more than 30,000 U.S. dollars to the Republican National Party in 2012. Individuals may give national parties up to 30,800 U.S. dollars each calendar year.